Lawns have an average size of one-fifth of an acre and hold over seven million grass plants in a typical yard. Maintaining these yard grasses can be expensive but a well-manicured turfgrass can increase your home’s property value by around 15-20 percent. The most popular ornament on yards or lawns is pink flamingos. It first soared to popularity in the 1980s. Since then, about 250,000 pink flamingos have been sold in the U.S. every year. St. Augustine has proved to be one of the most popular and enduring types of yard grass that people plant in their yards. If you are thinking of starting up a new lawn, then you will want to consider St. Augustine grass is one of your best options. This grass is very beautiful once it has matured, and it can be fairly simple to take care of it. This is what has made it become so popular among lawn enthusiasts. This is considered to be a warm season grass, but it will actually stay looking beautiful well into the autumn, depending on the climate in your region. This grass thrives in warmer areas of the world where it can enjoy temperatures that are conducive to its survival. It grows really well in sandy soil that is prevalent in these types of areas. 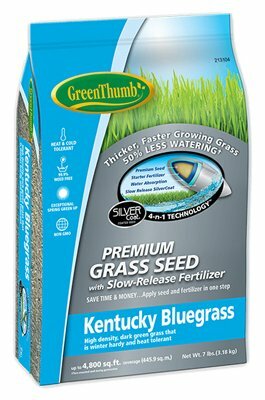 If you live in the southern sections of the United States, then you will have a good chance of getting this grass to grow well in your yard. Since this type of yard grass thrives so well in the heat, you can expect it to do well in even extremely hot temperatures. Some lawns simply cannot take temperatures that are in excess of 100 degrees Fahrenheit, but this grass does quite well. It does not fare so well when the temperatures drop lower, though. Once temperatures start to dip into the lower 50’s, you will find that this grass will go dormant and will change colors. The color of the grass during this time is usually a tan color. If the autumn is warmer in your neck of the woods, then you will be able to enjoy this grass with its nice blue-green color well into the autumn season. Since it doesn’t do so well in the cold, it is highly recommended to consider another option for your lawn if you live in a colder climate. This yard grass has a hard time tolerating the cold, and you don’t want to make things more difficult for yourself than they need to be. Bahia is another type of yard grass that does really well in the southern parts of the United States. It can handle the heat of these areas really well and has become a staple in many people’s yards. It is a really tough grass that actually has a bit of a rougher texture than many other types of grass that you will encounter. The overall hardiness of this grass makes it good for foot traffic, as it can take being trampled underfoot and still bounce back with ease. This grass is going to thrive in either full or moderate sunlight. Just make sure that your lawn isn’t completely shaded so that it will be able to grow properly. As long as you have partial sunlight hitting your lawn, it shouldn’t have any trouble thriving in a warm climate. 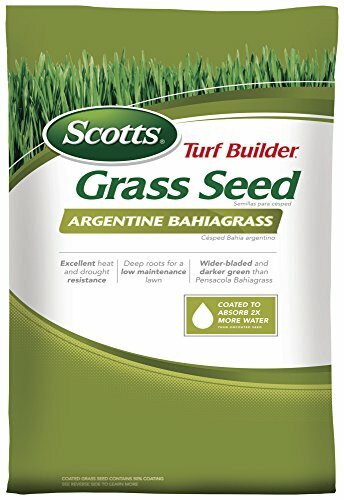 This grass is also good at growing in a multitude of different soil types, making it a really versatile option for those who live in the warmer parts of the world. 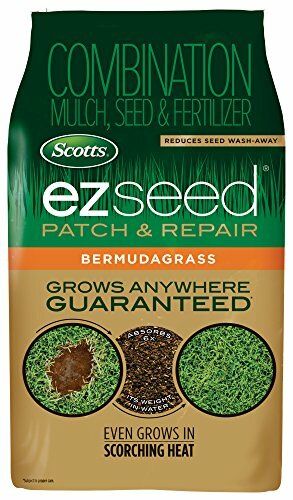 If you have children who want to be able to play in your yard, then this grass is highly recommended. It has the right level of toughness to withstand being heavy foot traffic, and it will look great throughout the warm months. It isn’t going to thrive in the colder temperatures, but this is true of most grasses that people have in these climates. Having access to a rugged yard grass type is going to prove to be beneficial. For the best experience, you will want to mow this grass down to only about two and one half inches tall. This is a bit taller than some grasses, but it needs to stay in this range to be able to remain healthy. Going too much shorter than this is going to risk the grass becoming too dry, and it will begin to encounter problems. Just be mindful of how short you are mowing it, and everything should be fine. Zoysia is yet another warm-season grass that is going to appeal to people living in hotter areas. This is an excellent lawn for people who don’t want to have to put a lot of effort into maintenance. Zoysia is a yard grass that actually grows rather slowly, which means that you will be able to get away with mowing it less often. For people who don’t get a kick out of waking up early to mow their lawns, this can be a very appealing scenario. The lawn can actually grow pretty strongly even if it doesn’t grow all that quickly. It will become rather dense if it has the proper access to water and sunlight that it needs. Full sunlight will allow this lawn to grow more readily, but it also does very well in partial sunlight. Just make sure that it gets enough sunlight to be able to stay healthy. The color of this lawn is light green most of the time, but it is also sometimes seen as more of a medium green. The blades of grass can have a fine texture, or they can be just a little bit coarse, depending on the condition of the grass. This is going to be a lovely lawn for your family to enjoy as long as you live in a warmer area. It is even somewhat resistant to droughts, so it won’t be too much of a worry if it doesn’t rain for a couple of weeks. When the temperatures start to get colder, you can expect this grass to begin to go dormant and turn to a tan color. This is to be expected, and it isn’t anything to worry about. This grass does handle the cold better than something like St. Augustine grass, but it is still going to go dormant. You have probably heard of Bermuda grass before, as it is one of the most popular yard grass options for many people. This is a warm season grass that is characterized by having a nice dark green color. It really does look quite stunning when it is thriving and healthy in your yard. This grass is going to be very appealing for people who want to enjoy having a beautiful looking lawn that is going to stand up to extreme heat. Extremely hot places will not be a big problem for Bermuda grass, as it can thrive in temperatures of up to 110 degrees Fahrenheit. This is one of the hardiest yard grass types that you can consider when looking to start a lawn in a very hot place. If you know that the temperatures in your area have a tendency to approach the high marks mentioned above, then you would be well-served by choosing Bermuda grass for your lawn. It will ensure that you have yard grass that can stand up to the heat, and you will be able to enjoy having a pretty lawn. If you are willing to take care of this lawn diligently, then it can become exceptionally beautiful. Even if you are a bit more lackadaisical when it comes to lawn care, you will still be able to have a good looking lawn. This can be a low maintenance lawn, making it extremely appealing for busy people who don’t have a lot of time to dedicate to lawn care. Putting more effort into the lawn care will simply yield even better results, and you can go from having a pretty lawn to having an absolutely stunning one. There are some things that you will need to look out for when planning to make use of Bermuda grass in your yard, though. First of all, you must understand that this lawn does not handle the cold well at all. If you live in an area where temperatures dip too low at night, then this is going to negatively impact Bermuda grass. You will want to choose a different type of grass to better suit your needs. In addition, this grass requires full sunlight in order to grow properly. If your yard has an abundance of trees that provide ample shade, then this might not be good for Bermuda grass. It could negatively impact the health of the grass, and you may not want to use it because of this. If you can provide full sunlight for this grass, then it will grow to be very strong, and you will have an easy time maintaining it. Perennial ryegrass is a cool season grass that will withstand some colder temperatures more than the grass types that have been mentioned above. This grass is ideal for growing in many different types of climates. It has a good temperature tolerance when it comes to the cold, but it can also deal with hot summers without too many problems. The trick to making your perennial ryegrass grow nice and strong is to keep it as moist as possible. Areas that have winters that could be considered milder will be perfect for this grass. It will be able to survive and stay nice during cool, but not below freezing, temperatures. It can survive in different environments, but if you want to use it in an ideal environment, then a place with mild winters is a good idea. It also really likes places that have a lot of moisture, so if your area is a little hotter and dryer, then you may want to think about watering it. If you want this type of yard grass to look as vibrant as it possibly can, then you will want to water it somewhat often. If there is a drought in your area, then the grass is liable to go dormant if you aren’t watering it yourself. Luckily, perennial ryegrass is fairly hardy and will be able to bounce back from going dormant without too much trouble. It’s still in your best interests to water your lawn if you want it to stay looking nice during periods of drought. Perennial ryegrass is a fairly hardy lawn overall, and it can handle being foot traffic really well. For this reason, perennial ryegrass is popularly used in park areas and on sporting fields. You will find perennial ryegrass on many different sporting fields that feature real grass, as it can stand up to vigorous sports, such as football, with ease. If you have kids who like to play roughly in your yard, then perennial ryegrass is going to be a good choice for the lawn. Kentucky bluegrass is one of the most gorgeous types of lawns that you could possibly have. This is one of the yard grass types that people choose when they value appearance above all else. The lush dark green color of this grass is very nice and it is going to help to bring out the true potential of your property. This is considered to be a cool season grass, but it really works best in areas that have a moderate climate. Extremely hot weather is not going to be easy on this type of grass. It is going to have a tough time surviving in temperatures that are too hot. It can handle really cold winters without too much trouble, but the heat is just too much for this grass to bear. If your area has cooler weather, then this grass is going to do great where you live. It doesn’t love the harsh and cold weather, but it will tolerate colder temperatures pretty well. What this lawn needs in order to stay healthy is plenty of moisture. The biggest reason that it doesn’t do well in extreme heat is that the heat deprives it of the moisture that it needs. If you are going through a summer drought, then this lawn could go into a dormant state if it isn’t provided with enough water. People living in drier areas still like to have Kentucky bluegrass lawns due to their beauty. You can make it work if you’re willing to water the lawn thoroughly during the summer season. Just bear in mind that when things get too hot that it won’t be simple to maintain. You can ensure that it will stay looking healthy if you take care of it well and give it enough water. Fescue is another cool season grass that many people like to install in their yards. Those who live in cooler climates often use this yard grass because it is pretty easy to work with. Blades of fescue grass have a tendency to grow upright, which can be very pleasing to look at. If you want a lawn that is going to look really nice and is capable of surviving in a slightly cooler climate, then buying some fescue yard grass seed is a good idea. This grass can actually tolerate both heat and cold fairly well. You won’t have too many issues with this grass, so long as you ensure that it is given the right amount of sun. It can tolerate being put in the shade, but it is going to need at least some sunlight in order to truly grow strong. Try to ensure that your lawn is only partially shaded for the best results. If you live in an area that is prone to droughts during the summer season, then fescue is going to be very convenient for you. Fescue is capable of tolerating droughts very well. It is the ideal cool season grass when you live in a dry climate. It still needs some moisture to stay healthy, so you should try to water it if the drought is going to persist for a long time. It is possible that this fescue grass could go dormant if it isn’t watered during the summer. This only occurs during a really bad drought situation, so you shouldn’t have to worry too much. If it hasn’t rained in many weeks, you will want to think about watering your lawn to ensure that it stays healthy. Otherwise, this is going to be a pretty easy lawn to maintain. Another key feature of fescue that is that it handles temperature fluctuations very well. Some grasses can go into a shocked state when temperatures suddenly shift from being hot to being cold. Many types of plants have this problem, but fescue grass is capable of reacting to these fluctuations just fine. If you live in a place that has weather that can shift very suddenly, then a fescue lawn is going to work out nicely. You will want to use centipede grass in very warm climates in order to get the best results. It is a warm-season grass that can become quite dense when it is given the time to grow properly. The color of this grass is often dark green, but it will sometimes be closer to medium green, depending on certain factors. It looks really good overall and most people don’t have to put forth a herculean effort to take care of this grass properly. Low maintenance lawns are appealing to people who lead busy lives. Centipede grass definitely falls into the low maintenance category, so long as you are using it in the right climate. This is grass that is meant to be grown in humid climates or tropical climates. It is going to do great if your area gets plenty of rainfall and is often very warm. This grass grows best when it is placed in full sun. It can tolerate a bit of shade, but it may not grow as well. Try not to place this grass in anything more than an area that is half-shaded in order to ensure that it remains healthy. This still can be a pretty good type of yard grass to use if you have a yard that features a bit of shade, you just need to make sure that it gets a decent amount of sunlight. Droughts are really rough on centipede grass. 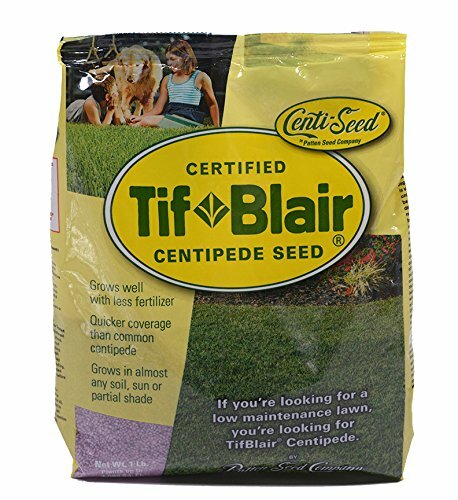 If you are going through a period of drought, then your centipede grass will be prone to many problems. It will go dormant if you don’t water it well enough during the drought. Luckily, it will spring back to life pretty quickly, so it can go from being dormant to becoming green again in a matter of weeks. If you plan on using this type of grass for sporting activities or heavy foot traffic, then you should really think twice. This grass doesn’t recover well once it is damaged. It grows somewhat slowly, making it a poor choice for grass if you plan on playing sports on it or doing other types of activities. Consider what you want to do in your yard before you make the decision to plant this type of grass seed. Artificial grass can be very useful in areas that have difficulty in growing grass. If you are having problems growing a lawn in your area, then you should consider the artificial options that are available to you. These options can look quite nice and are generally pretty easy to install. This is going to allow you to enjoy the look of having a lawn without having to worry about many of the problems that come along with it. Some people choose to install artificial grass in areas that are difficult to mow. As an example, it can be tough to mow an area that is very hilly or has a steep slope. Rather than risking injury by mowing at an awkward angle, you could simply install artificial grass in this spot. It will allow your lawn to remain beautiful but you won’t have to deal with an unnecessarily difficult task. Artificial grass is very resistant to both cold and heat. You will have an easy time making use of this artificial grass, no matter what type of climate you are living in. You can use it to accentuate parts of your lawn, or you can use it as a replacement for a traditional lawn.